Lisetska I. S., Rozhko M. M., Kutsyk R. V.
The ability of pathogenic and conditionally pathogenic bacteria to prolong the survival in hostile host-macroorganism environments with their persistence. One of the factors of persistence is antilysosytic activity (ALA), which provides them with selective benefits of growth and reproduction on the mucous membranes, promotes prolonged stay of bacteria in the macroorganism. Therefore, the promising approach to the treatment of periodontal diseases is the use of drugs that can suppress the expression of this factor of the persistence of pathogens or eliminate microorganisms with antilisositum activity from the composition of oral microbiocenoses. The purpose of the study was to determine one of the markers of the persistence of representatives of the microbiocenosis of periodontal tissues — the antilysosytic activity of microorganisms before and after the complex treatment of catarrhal gingivitis in adolescents with chronic gastroduodenitis (HGD). Materials and methods: changes were studied before and after the treatment of germ microbiocenosis and ALA persistence factor in 38 adolescents with generalized catarrhal gingivitis (GKG) and HGD from 12 to 18 years old who were the main group. The group included 25 adolescents of the same age with diagnosed GKG who, at the time of the survey, did not file complaints of violations of somatic health and were not on the dispensary records of related specialists. Monitoring of changes of germs microbiocenosis and ALA was carried out before treatment, after treatment and six months later. Results. The new therapeutic complex developed for us for the treatment of adolescents with GCG showed a pronounced corrective effect on the nature of germs microbiocenosis and proved to be well established both in the context of concomitant gastroduodenitis and in patients without concomitant gastrointestinal tract pathology. He allowed to achieve a steady reduction of the persistent potential of the gluten microflora by reducing its ability to inactivate lysozyme in the mouth fluid. Conclusions. In adolescents with GKG (both in the background of concomitant gastroduodenitis and in somatic healthy), there is a sharp increase in the colonization rate of gum mucosa by bacteria with high ALA. The new therapeutic complex incorporating lactic probiotics has a lasting corrective effect on the qualitative characteristics of microbiocenosis gums in adolescents with GKG, providing a reduction of the persistent potential of the microflora by reducing the ability to inactivate lysozyme in the mouth fluid. Key words: catarrhal gingivitis, chronic gastroduodenitis, adolescents, microbiocenosis, antiliosocyma activity, complex treatment. 1. Bulantsev AL, Petrova IA, Temkin ES, Lipnitsky AV. (2006). Rationale for the study of pathogenicity factors of microorganisms in the oral cavity in the treatment of inflammatory diseases of periodontal disease with probiotics. 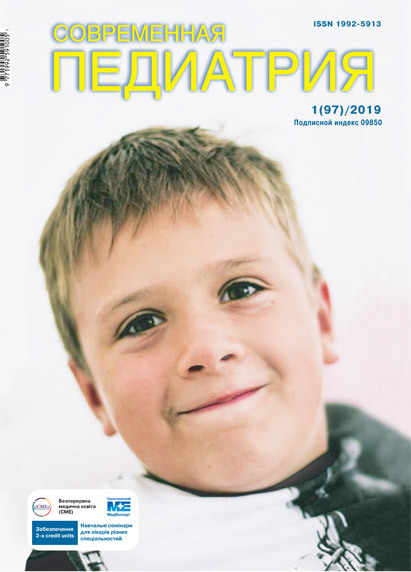 Russian Dental Journal. 6: 23–26. 2. Bukharin OV, Usvyatsov BI, Malyshkin AP, Nemtseva NV. (1984). Method of determination of anti-lysozyme activity of microorganisms. Journal of Microbiology, Epidemiology and Immunobiology. 2: 27–28. 3. Bukharin OV, Chelpachenko O, Usvyatsov BJ et al. (2003). Influence of medicinal plants on the anti-lysozyme activity of microorganisms. Antibiotics and chemotherapy. 5(48): 11–14. 4. Gayrabekov RX, Gayrabekova RH, Gubkhanova SA, Turlova FS, Umiyeva ZE. (2016). Anti-lysozyme, anti-interferon and anti-complementary activity of some bacteria of the family Enterobacteriaceae. Modern problems of science and education. 5: 18–24. 5. Gebert F Volf, Edit M Rateizchak. (2014). Moscow: Medpress-inform: 548. 6. Dychko EN, Kovach IV, Chotimska UV, Fedoriak NV. (2012). Frequency of dental diseases in children. Medychni perspectyvy. 17; 2: 114–116. 7. Krysenko OV, Sklyar TV, Voronkova OS et al. (2014). Features of the composition of microbial associations and resistance to antibiotics of microbiota of the oral cavity. Microbiology and Biotechnology. 1: 35–44. 8. Laboratory research methods in the clinic: Manual (1987). VV Menshikova (Ed.). Moscow: Medicina: 316–317. 9. Leus PA, Yudin NA. (2016). Periodontal disease. 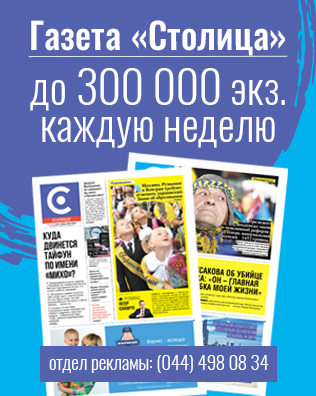 Minsk: Energopress: 350. 11. Mashchenko I, Samoilenko V, Pyndus T. (2012). Diagnostic and prognostic significance of parameters biocenosis and local immunity in chronic catarrhal gingivitis in young men. Suchasna stomatolohiya. 3: 54–57. 12. Determination of Bergy bacteria. In 2 t. Per. from english (1997). 9th ed. Ed. Dzh Hoolta, N Krig, P Snita, J Steli, S Viljamsa. Moscow: Mir: 553–559. 13. Romanenko EG. (2012). Type and frequencies of changes in oral cavity in children with chronic gastroduodenatis. Zdorovie rebionka. 1(36): 70–73. 14. Savichuk NO. (2015). Correction of microecological disorders as part of treatment and prophylactic measures in children with chronic generalized catarrhal gingivitis. Delta Digest. 1: 5–8. 15. Khomenko LA, Dud OV. (2013). Dental and immune status of children with chronic somatic diseases. Dentistry of childhood and prevention. 12; 4(47): 57–60. Article received: Jul 23, 2018. Accepted for publication: Nov 29, 2018.